The first teaser video of Sony Xperia Z1 also known as Honami has just been published by the Japanese maker. Unfortunately the video is a combination of all teaser pictures we've seen so far and gives us no new details. Sony has already showed us the power key, the water-proof panels, the G-lens at the back, as well the slim profile which also revealed the announcement date - September 4. Yes, it's the same day Samsung will premiere the Galaxy Note III. Sony Xperia Z1 has already leaked in various pictures and it looks much like its Xperia Z sibling. The Z1 will supposedly feature a 5" 1080p display and run on a Snapdragon 800 chipset. At the back it will boast a 20.7MP camera 1/2.3" sensor capable of 4K video recording, and a 3000 mAh battery. 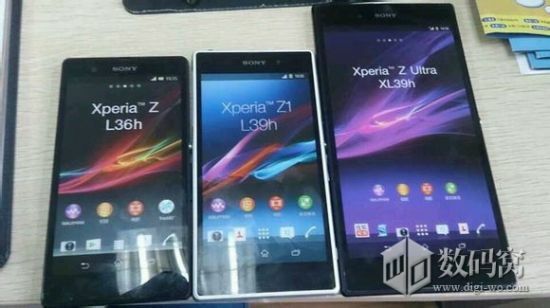 Meanwhile, an Xperia Z1 mockup showed its face and was sized up against an Xperia Z and Xpetia Z Ultra mockups. Not only did it help us get a better idea of the size of the smartphone, the dummy also let us learn the model name of the Xperia Z1 - L39. The smartphone will be unveiled on September 4 and we'll be there to cover it, so make sure you stick around when the time comes. Thank you, Colby Leong, for the tip!